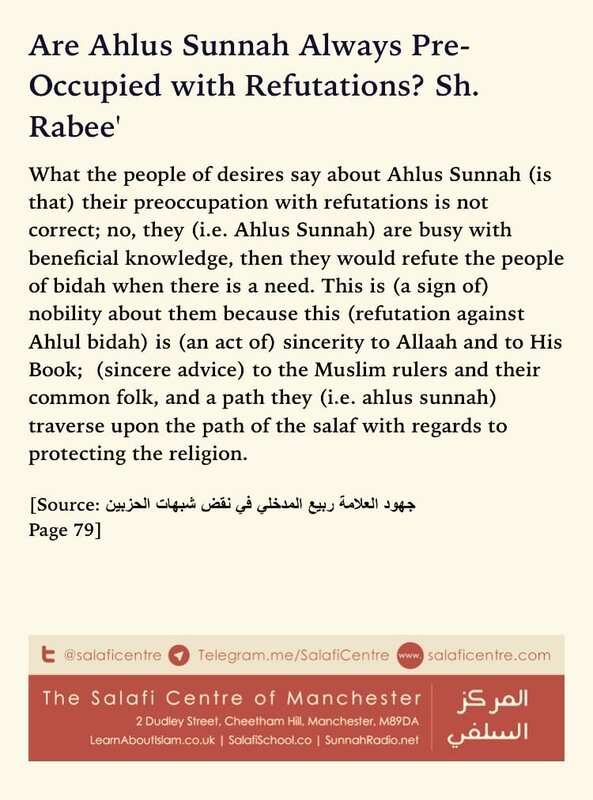 What the people of desires say about Ahlus Sunnah (is that) their preoccupation with refutations is not correct; no, they (i.e. Ahlus Sunnah) are busy with beneficial knowledge, then they would refute the people of bidah when there is a need. 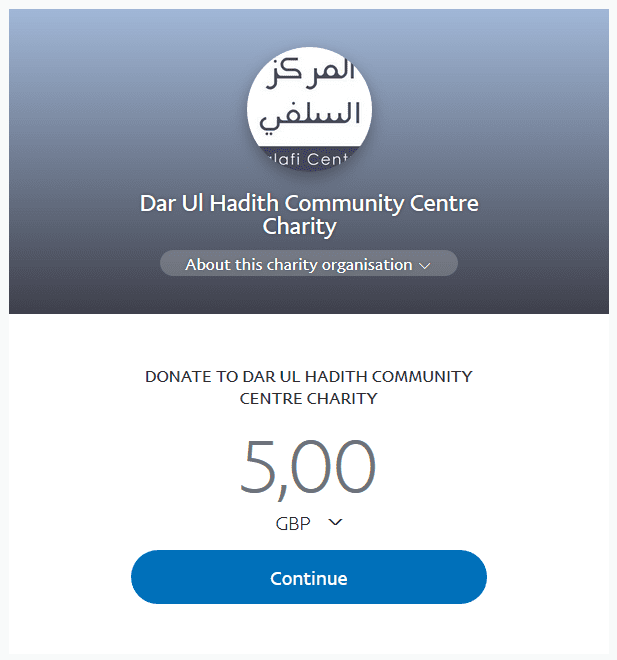 This is (a sign of) nobility about them because this (refutation against Ahlul bidah) is (an act of) sincerity to Allaah and to His Book; (sincere advice) to the Muslim rulers and their common folk, and a path they (i.e. ahlus sunnah) traverse upon the path of the salaf with regards to protecting the religion.